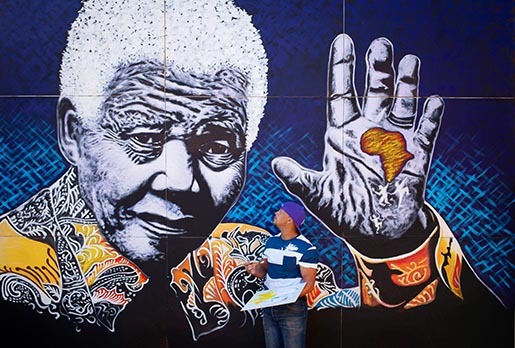 South African Artist John Adams was responsible for painting the largest portrait of Nelson Mandela in July 2013, in honour of the former South African president’s 95th birthday. 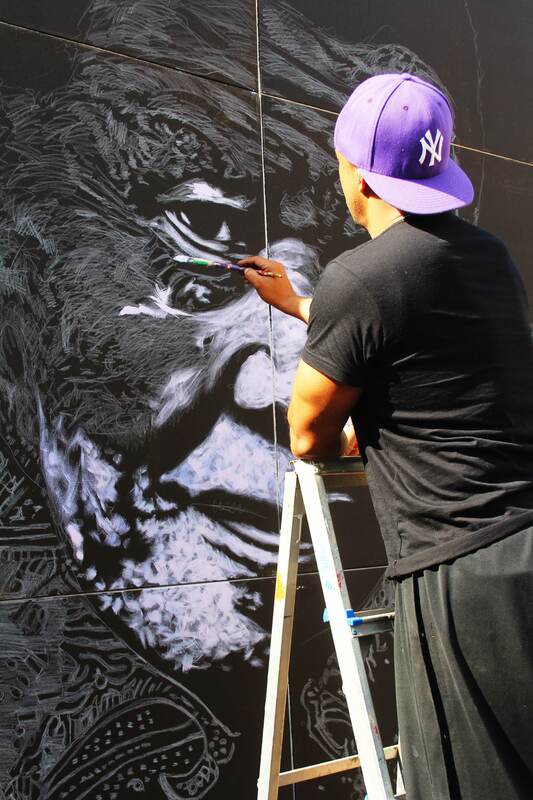 Using gold foils, acrylic and oil paints, John depicted the life of Nelson Mandela on twelve canvas panels each measuring (H) 1.2m x (W) 1.5m, compiled together to form a painting measuring (H) 4.8m x (W) 4.5m in its entirety. Adams’ painting features Mandela waving with the African continent in the palm of his hand, as people in the background cheer the former president’s contributions. 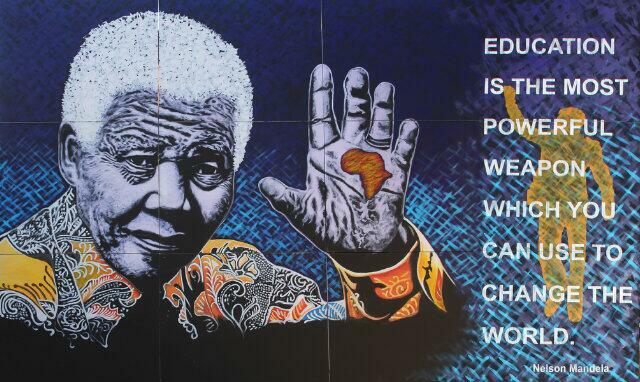 John’s painting includes Mandela’s famous words, “Education is the most powerful weapon you can use to change the world.” The painting became part of Future Ed™, The Education Show – South Africa’s largest educational resource exhibition at the Coca-Cola Dome in Johannesburg. The painting was then made available for auction, with all profits going to The Teddy Bear Clinic and The Sunlight Safe House.